Made from the highest quality 304 stainless steel, this AKDY 30-Inch Euro Style Stainless Steel Island Mount Range Hood adds an extra dimension of style to a kitchen with an island layout. It features a three-speed electronic push switch control that makes operation fast and simple. The AKDY 30-Inch Euro Style Stainless Steel Island Mount Range Hood has four 2-watt LED lights to help illuminate the kitchen area. 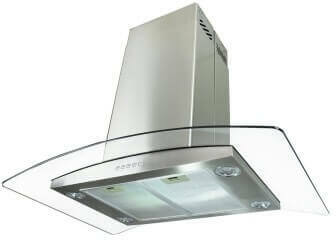 It also features a non-return air flap that will keep heat from escaping when it is not in use. It will add a touch of class to your kitchen with its gleaming brushed stainless steel finish that is accented by tempered glass wings. 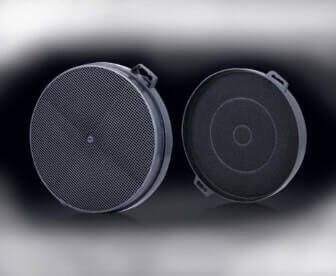 It boasts an air flow of 870 CFM and the anodized stainless steel filters are easy to remove and are safe for cleaning in the dishwasher. 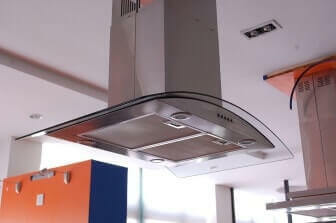 This unit is priced at a bargain compared to other similar products on the market today and users for the most part have been very satisfied with the performance of this range hood. To correctly install this unit, most users reported having used an electrician, or they at least had a husband who understand some of the basics and was good with his hands. While it does come with an instruction manual, it is asking too much of a layman to install this unit alone as it weighs in at 68 pounds. 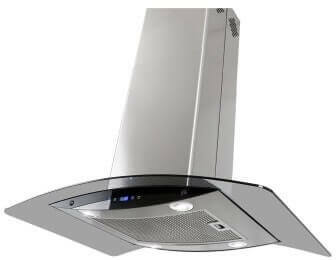 The AKDY 30-Inch Euro Style Stainless Steel Island Mount Range Hood has a number of very positive reviews on Amazon from users, with the main complaint being it is rather difficult to install.